Although he is mainly associated with Kitigan Zibi, Luc-Antoine Pakinawatik was, through his tenacity, intelligence and perseverance, the trigger that finally forced the British authorities in Canada to allow the creation of several First Nations reserves. The third son of Hiacinthe Pakinawatik, whose name means "tree struck by lightning," Luc-Antoine Pakinawatik was born on the banks of the Kitigan Sibi (Desert River) during the winter of 1803, but it was not until the summer that he was officially baptized at the mission of the Lake of Two Mountains (Oka). It is assumed that the Pakinawatik family returned each winter to its hunting territory near the Kitigan and Tenagadin rivers (Gatineau), despite the religious authorities who wished to settle First Nations groups around the Oka mission. 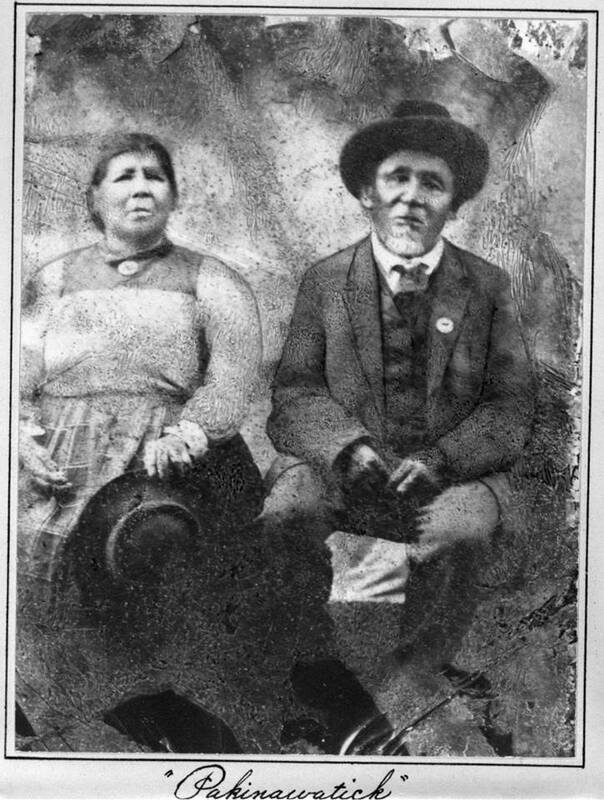 At 22 years old, he married Genevieve Makwekijikokwe and it is also at this time that the young Pakinawatik began his first expedition to lead a dozen families to establish a permanent place near the Kitigan Sibi. 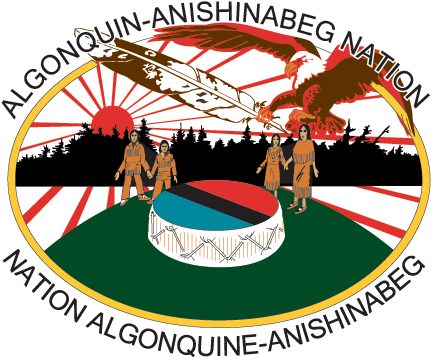 It would take another 25 years to obtain, in 1851, the creation of a reserve for the Algonquin, despite threats from Oka’s religious authorities who refused to distribute the “gifts” (food and tools) normally available to First Nations families living around the mission, to those who returned to live in their traditional hunting grounds. While Western Quebec had not yet experienced any significant wave of colonization, things changed in the early 1800’s. Philemon Wright, an American Loyalist, left the United States to settle in Canada, where the British authorities opened the doors to the Outaouais area, despite the promise to keep the land for the sole use of the native people. In no time, the Algonquin territory was invaded by loggers and "squatters". Pakinawatik made three trips in a birch bark canoe to Toronto with his companions to bring the request from the Algonquin families to create a reserve. Taking advantage of the arrival on Canadian soil of the Oblates of Mary Immaculate, he obtained the support of Fathers Thomas Clement and Bruno Guigues and presented a third petition to Lord Elgin who consented in 1851 to create a reserve. Although there were few native reserves that existed in Quebec at the time, the movement initiated by the Algonquin was also followed by the Atikamekw, who demanded that lands be reserved for their use. The law passed in 1851 was intended to address most of these cases. The reserve created near Maniwaki included 45,700 acres, while that of Timiskaming included 38,400. Sadly, the Timiskaming reserve would be repeatedly reduced. It now has only 4,576 acres. The two reserves were created not only for Algonquin people, but also for the Nipissing and the Atikamekw. In fact, these groups never moved there, the area not being part of their traditional hunting territory. Luc-Antoine Pakinawatik was one of the few native people who was able to read and write at the time and was said to be very clever and a shrewd negotiator. Life hit hard for the first chief of the Kitigan-Zibi. From his marriage to Genevieve, 12 children were born; six died in infancy and two others during childhood. He lost his wife when she was only 43 years old and his daughter Philomene a few months later. His other daughter also died at 22, when giving birth to her third child. Only two children survived him. Luc-Antoine Pakinawatik died at the age of 71.